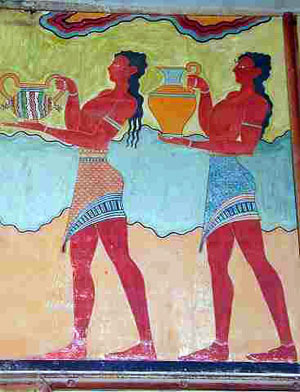 Minoan clothing was suitable to the mild climate of Crete and bore simple geometric designs. Men wore loincloths and kilts. Women wore robes that had short sleeves and layered flounced skirts. 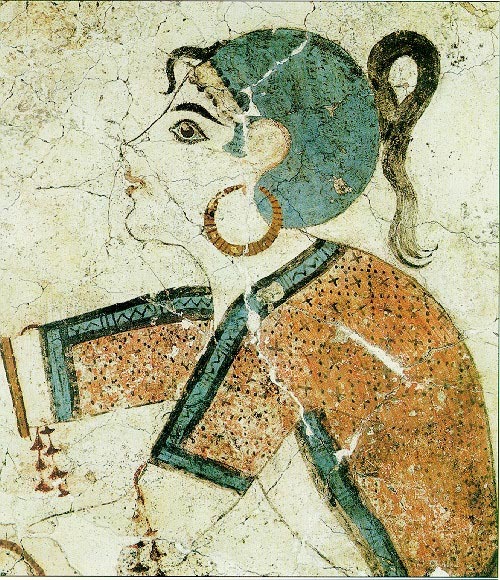 Women's clothing often fitted on top and open allowing the breasts to be exposed. They wore bracelets on their ankles and were decorated with earings, cosmetics and hair design.